Neck and headache pain are common problems that affect millions of men and women around the world. If you suffer from this type of condition, you're not alone. The good news is that chiropractic care is an excellent way to not only treat these common issues, but also help prevent future episodes. For many years, people with neck and headache pain in Sunnyvale & San Francisco, CA have been helped by the chiropractic adjustments of Dr. Jamie Stern. Our experience is supported by a recent review done in Canada that found that non-surgical, non-drug solutions are the best choice for neck and headache pain. The review looked at 15 studies from 1990 to 2015 and found that conservative treatment comprised of chiropractic adjustments, exercises, and stretches was advisable before resorting to drugs or more invasive procedures. If you're suffering from neck pain or headaches, Dr. Jamie Stern and our staff are here to help you feel better. Give our Sunnyvale & San Francisco, CA office a call today at (415) 308-7636 for an appointment today. Dr. Jamie Stern sees a lot of patients in our Sunnyvale & San Francisco, CA office who are struggling with recurring headaches. Fortunately, chiropractic adjustments can usually help, potentially reducing these types of headaches by 50 percent, and research confirms it. A study was conducted involving 80 participants who reported experiencing at least five cervicogenic headaches during the prior three months. The goal was to see how effective chiropractic was for this type of head pain, as well as to determine the number of treatment sessions required to achieve a positive effect. The subjects were split into four separate groups, so that each group was similar in age, gender, number of cervicogenic headaches, and their intensity. Of the four groups, two engaged in chiropractic treatments and two received light massage. Furthermore, one group assigned to each treatment received eight sessions and the other patients received double that amount. Each person was assessed based on head pain, neck pain, and disability prior to the study and 12 and 24 weeks after treatment was complete. The authors found that those who received chiropractic as opposed to massage reported fewer headaches at the conclusion of the study. Furthermore, improvements were maintained when checked six months after treatment ended. Additionally, patients who were taking medications for their headaches were able to lower their intake after completing the study. Those who received chiropractic adjustments had lower medication usage 24 weeks post-study. Dr. Jamie Stern has helped many patients who were suffering from headaches in our Sunnyvale & San Francisco, CA office. 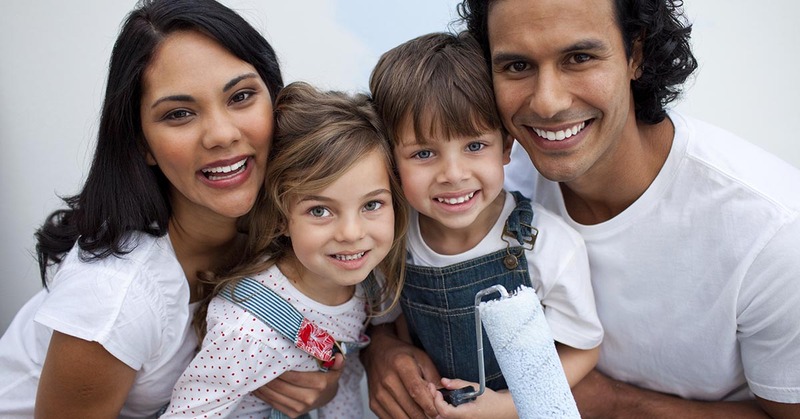 Call us today at (415) 308-7636 for more information or for an appointment. Dr. Jamie Stern sees many people weekly in our busy Sunnyvale & San Francisco, CA chiropractic office who are looking for relief from the pain and suffering they feel due to herniated discs. Our experience isn't unique; the medical research confirms that chiropractic care is a successful way to treat herniated disc problems. One particular research project involved 27 people, 8 male and 19 female, who had magnetic resonance imaging (MRI) confirming a disc herniation in either their neck or lower back. The people reported that they were experiencing pain, reduced range of motion, and sensory problems bad enough to keep them off work. 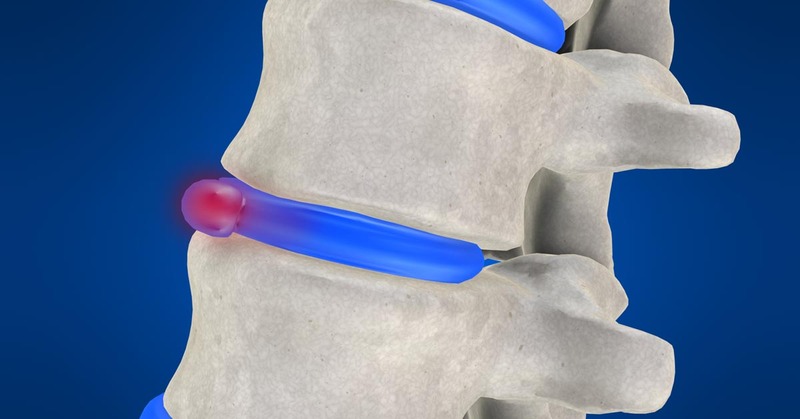 Over the course of the research study, the individuals were treated using one of two common chiropractic methods: traction for herniated discs in the cervical area or flexion distraction for the patients who had herniation issues in the lumbar area. Each individual was seen four or five times per week for the first two weeks, then three times weekly, and then as needed for the remainder of the study. Depending on the seriousness of the disc herniation, treatment ranged anywhere from six weeks to six months, with MRIs being conducted at a variety of stages to identify what impact, if any, the chiropractic care was having in regard to the disc herniation. The authors found that 80 percent of the participants experienced a "good clinical outcome," meaning reduced pain and a reduction in other issues, such as numbness. Furthermore, 77 percent of these subjects also showed MRI evidence that their disc herniation was either reduced or resolved completely. This resulted in 78 percent of the study subjects being able to return to their place of employment and led the authors to conclude that chiropractic adjustments is both "safe and helpful" for disc herniations. If you have a herniated disc and suffer from chronic back pain and are near Dr. Jamie Stern in Sunnyvale & San Francisco, CA, contact our office today to see what chiropractic can do for you! In our Sunnyvale & San Francisco, CA practice, we see plenty of people who are suffering from back pain, and a few of these people have been informed they might need surgery to recover. Thankfully, Dr. Jamie Stern has helped many people get relief without the need for any type of surgery. The science confirms the success we see in our office. One medical study published in the medical journal Spine found that seeing a chiropractor as your first step in overcoming with your back issues may actually keep you off of the operating table. In this scientific study, medical professionals from Dartmouth reviewed statistics from about 1,900 workers from Washington state who first saw either a surgeon or a chiropractor for their back-related issues. They then looked at three years' worth of follow-up medical data to find out whether the patients wound up having back surgery in an attempt to treat the issue. These are impressive results. Visiting a chiropractor considerably decreases your odds of getting back surgery, plus the chiropractic patients in this report "had lower odds of chronic work disability" and they also had fewer expensive MRI tests. Let's also keep in mind this important detail: this study was carried out by orthopedic surgeons from Dartmouth College, and printed in the world's most distinguished medical journal on spinal injuries. As a chiropractor, Dr. Jamie Stern believes that surgery should be the absolute last choice for treating back pain. Chiropractic works to restore your spine to its normal function--without the need of high-risk surgery or drugs--and many research studies have confirmed the usefulness of chiropractic for back pain. If you live in Sunnyvale & San Francisco, CA and you need relief for your back pain, give our practice a call today at (415) 308-7636 for a consultation or an appointment. We'll help get you back on the road to a pain-free life! If you are dealing with shoulder pain after a car accident, you're not alone. Dr. Jamie Stern sees this type of condition frequently in our Sunnyvale & San Francisco, CA office. The key to recovering from shoulder pain caused by a crash is to understand the root cause of the problem and how chiropractic care can help. There are at least two different ways that you can develop shoulder pain after a car crash: by direct injury to the shoulder joint or by radiating pain from the neck. Direct damage can be caused by hitting your shoulder on a hard object in the car during the impact, or can occur if you have a tight grip on the steering wheel during a rear end impact. With this type of injury, you'll usually be aware of the pain shortly after the wreck. More commonly, Dr. Jamie Stern finds that shoulder or arm pain does not immediately appear after a collision, but begins a few days or weeks after the accident. This type of shoulder discomfort actually starts in the cervical spine. Injured ligaments or muscles in your neck can squeeze nerves in your neck, causing numbness, tingling, or pain in your shoulder, elbow, or wrist. We've treated many types of shoulder pain in our Sunnyvale & San Francisco, CA office. This approach involves chiropractic adjustments to restore your spine's natural mobility and home exercises that strengthen your neck and shoulder. Let us help you recover from shoulder pain. Dr. Jamie Stern has helped many patients with the same condition, and we can probably help you, too. The first step is to get an accurate diagnosis to determine what's causing your symptoms and then we will determine an appropriate treatment approach. Ready to make an appointment? Give us a call at (415) 308-7636 and we'll get you back on the road to health. We see a large number of patients in our Sunnyvale & San Francisco, CA office, and Dr. Jamie Stern has helped countless people manage a variety of health issues. However, one concern that seems to prevent many people from seeking care is whether or not chiropractic adjustments are safe. Luckily, according to three separate studies (out of many on the topic), the answer to this question is a clear: "Yes! Chiropractic is safe!" The first study(1) was published in Spine and involved 183 women and men. Each individual reported suffering from some kind of back pain, and half of the people received real chiropractic adjustments while the remaining patients were given two sham chiropractic treatments. Information was gathered after each real or fake adjustment to identify if any unfavorable negative effects were caused by the real chiropractic adjustments. The doctors found that no participants reported any significant adverse adverse reactions whatsoever after getting one or two sessions of chiropractic. Some people did state that they got a headache (9% of patients) or muscle stiffness (about 1 out of 3) post-treatment, but the results were not serious. A second article(2), also released in the prestigious journal, Spine, was conducted in an effort to ascertain the safety of chiropractic. The study group was much larger -- 20,000 patients. Each participant received chiropractic adjustments of the cervical spine, with over 50,000 total adjustments for all study participants. Again, the investigators discovered no serious negative side effects. The experts computed the risk of total side effects to be about 6 out of every 10,000 consultations or every 100,000 treatment sessions. And, just as with the first study, some volunteers did report non-serious, milder, unwanted effects such as dizziness (16 out of every 1,000 treatment consultations and 15 out of every 1,000 treatment sessions) or a headache (4 out of every 100), and this prompted the researchers to conclude that "the risk of a serious adverse event, immediately or up to 7 days after treatment, was low to very low." The third research paper(3) is different from the first two pieces of research, as it concentrates on the safety of chiropractic care for children. In this case, researchers investigated data reported by both chiropractors and parents involving 816 children who participated in 7,173 chiropractic adjustments. Out of 5,438 chiropractic visits made for the young ones, chiropractors responding to the survey reported only three cases where there were adverse reactions. When parents were surveyed, they indicated only two adverse side effects out of 1,735 visits. Additionally, both chiropractors and parents reported "a high rate of improvement with respect to the children's presenting complaints." Based on studies like these, chiropractic care has been deemed safe and effective for everyone. To learn what chiropractic can do for you, call our Sunnyvale & San Francisco, CA office and make an appointment today at (415) 308-7636. Dr. Jamie Stern works with many sciatica patients here in our Sunnyvale & San Francisco, CA office, and many of these patients were afraid that they might need surgery to treat their pain. The most recent research indicates that many people don't need surgery for this widespread issue, and that chiropractic is more effective at solving sciatic nerve pain. 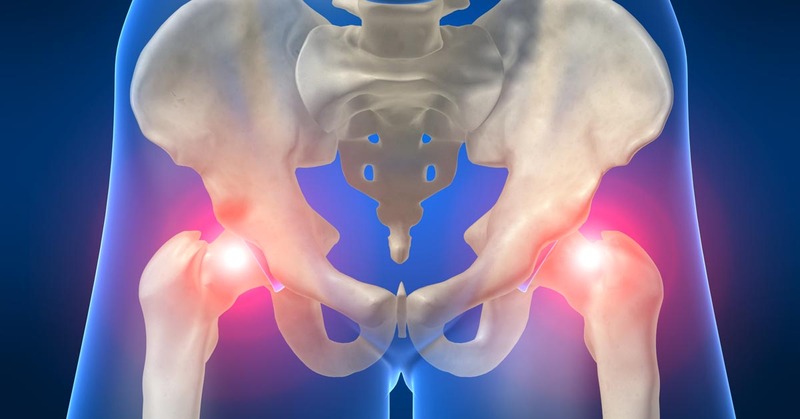 A typical surgery for sciatica is microdiscectomy, and in a 2010 study, specialists looked at 80 women and men with sciatica who were referred for this procedure. Forty patients were then randomly sorted into one of two groups. The first group received surgical microdiscectomy and the second group received chiropractic care. Both groups got better; however, no apparent difference in results was reported one year post-treatment between either group. Additionally, roughly sixty percent of the participating subjects who could not find pain relief from any other treatment method "benefited from spinal manipulation to the same degree as if they underwent surgical intervention." Put another way, chiropractic delivered the same positive benefits as surgery without having to endure the greater levels of surgery-based pain or suffer through lengthy recovery times often affiliated with that type of treatment method. Plus, you also don't run the risks associated with surgical microdiscectomy, which includes nerve root damage, bowel or bladder incontinence, bleeding, or infection. Surgery should be the last resort for sciatica pain. If you live in Sunnyvale & San Francisco, CA and you're being affected by back pain or sciatica, give Dr. Jamie Stern a call today at (415) 308-7636. We'll help pinpoint the source of your pain and work hard to get you relief. According to The American Academy of Pain Medicine, more Americans suffer with chronic pain than diabetes, coronary heart disease, stroke, and cancer combined. Furthermore, neck pain is the third most reported type of pain, beat out only by lower back pain and headache. Of course, a lot of people come to our Sunnyvale & San Francisco, CA office looking for neck pain treatment, and Dr. Jamie Stern has helped many of them find relief. This is a smart decision, as some research shows that over 90 percent of neck pain patients benefit from chiropractic. A study published in The Journal of Orthopaedic and Sports Physical Therapy involved 64 people who were suffering with neck problems. Around half were placed in an experimental group and the other half were designated to a comparison group. Both were given chiropractic adjustments of the neck as well as a home exercise plan, while the experimental group also received adjustments of the thoracic spine. Data was collected before treatment began and one week post-treatment. Researchers found that 94 percent of the experimental group reported "significantly greater improvements" in regard to pain and disability in their neck symptoms. Just 35% of the patients who received neck adjustments showed the same level of improvement, showing that evaluating the entire spine is a critical part of restoring the body's normal function. One more study posted in Physical Therapy involved 60 individuals between the ages of 18 and 60 who were dealing with neck pain. Each person was randomly assigned to one of two groups--thoracic spine thrust manipulation or non-thrust manipulation--with examinations occurring two and four days after the treatments. Researchers discovered that the study participants who received the thrust manipulations (the same manipulations that provided such positive results in the first report) "experienced greater reductions in disability" than the group that received the non-thrust adjustments. Their pain was lower as well, which shows that this type of approach offers many benefits. One study found the same type of positive outcomes after thoracic adjustments in a patient who had a failed neck surgical treatment. This specific case involved a 46-year-old patient who had recently had neck surgery but still reported neck pain, headaches, pain in her elbow, and muscle fatigue. The woman reported decreased pain in her neck and reduced headache intensity, right after the first chiropractic adjustments. After six weeks of care, which involved chiropractic, exercise, and patient education, the patient still placed her pain at a zero on a scale of 1 to 10. Her neck disability improved as well, with a rating score that represented that it was a "great deal better." It is scientific studies like these that demonstrate the advantages of chiropractic techniques, even if you've already attempted medical procedures that didn't provide relief. So, if you are dealing with neck problems and would like to find a remedy that has a high success rate, try chiropractic. It may just be the relief you're looking for. Our office is in Sunnyvale & San Francisco, CA and Dr. Jamie Stern can help you recover from neck pain. Give us a call today at (415) 308-7636. With the Migraine Research Foundation reporting that migraines affect 38 million people in the U.S. (more than diabetes and asthma put together), it's no surprise that Dr. Jamie Stern treats a lot of headache sufferers in our Sunnyvale & San Francisco, CA office. While some people choose to relieve migraine pain with medications, chiropractic is a fantastic, all-natural alternative that usually produces positive results. For instance, one report published in the Journal of Manipulative and Physiological Therapeutics involved 127 patients ranging in age from 10 to 70-years-old who struggled with frequent (at least monthly) migraines. Each subject received up to 16 chiropractic sessions. The subjects noted that their headache frequency, duration, and disability two months before the study began, during the duration of the sessions (which was two months), and two months post-treatment. What the authors discovered is that chiropractic reduced the frequency, duration, and disability of the migraine headaches when compared with the control patients who didn't receive chiropractic. Furthermore, this enabled them to take less medication for the pain, providing them an all-natural solution for a chronic problem. If you have migraine headache pain and are looking for relief, call Dr. Jamie Stern today and request an appointment in our Sunnyvale & San Francisco, CA chiropractic office. We'll do what we can to help you become pain-free! We see a lot of men and women with headaches in our Sunnyvale & San Francisco, CA office, and Dr. Jamie Stern has been able to assist many of them. Of course, the World Health Organization (WHO) states that half of all adults struggle with some sort of headache problem, so this certainly isn’t a surprise. One of the most frequent types of headaches which our patients are afflicted by is cervicogenic headache which, luckily for us, chiropractic can usually help. A cervicogenic headache is one that originates from a problem in the cervical spine. It might be thanks to a problem with either the spine itself (in particular, the vertebrae, joints, or discs), or it might be attributed to a problem in the muscles and tendons of your neck. This problem in your spine produces constriction or irritation of the spinal nerves, which can bring on headache pain. 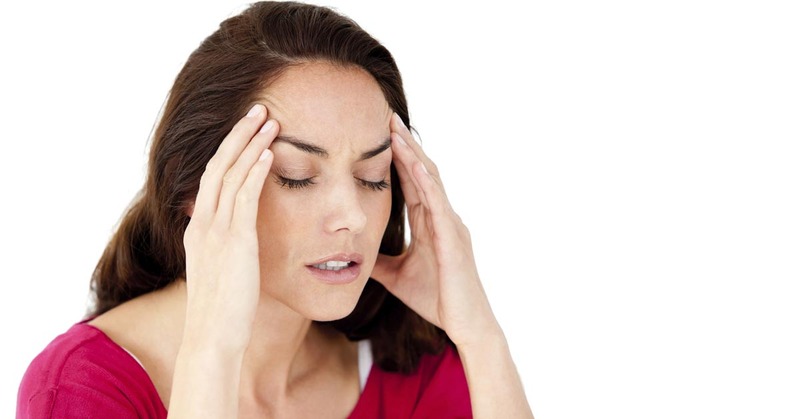 How can you identify if the headache you are suffering from is a cervicogenic headache? Apart from getting a diagnosis from a healthcare expert, a common symptom of cervicogenic headaches is tenderness or discomfort in your neck. This is occasionally accompanied by pain in the back of your head or between your shoulder blades. Since cervicogenic headaches will not go away until whatever problem is generating them is corrected, it is vital to receive treatment as opposed to just trying to "wait it out." Chiropractic care is an effective approach, and one that offers a great deal of pain relief. In one study reported in Chiropractic & Osteopathy, experts evaluated 80 people who had regular cervicogenic headaches. One-half were given chiropractic care and the other half engaged in light massage therapy. Each participant was examined 12 and 24 weeks after the treatment and it was found that chiropractic delivered the most beneficial results. In particular, this study revealed that chiropractic adjustments gave patients greater pain relief and lowered the number of headaches that occurred. What's more, it also lessened the disability that resulted from these painful headaches. To find out what Dr. Jamie Stern can do for you and your headache pain, call our office today. We'll do our best to get you the pain relief you need!